For this demonstration we will be using the UltraISO application. On the menu bar choose Tools/ Make CD/DVD Image... (notice one can also burn in this list). 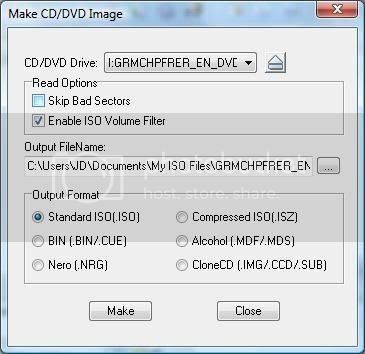 Browse to your CD/DVD drive where the Windows 7 DVD is located, confirm that “Enable ISO Volume Files” & “Standard ISO” are checked & check where the new ISO will be created (usually Documents/My ISO Files). After the Progress window closes, choose No at the next prompt to open it. That’s it, you're finished creating an ISO Image file from your Windows 7 DVD & if followed exactly, when the ISO is burned to a DVD it will be bootable. On the menu bar choose File/ Open. Browse to where the .iso file is located, select it & click the Open button. The .iso files are added to the upper right pane. Browse the sources folder to the ei.cfg file & select it. Rt. Click the file & choose Delete. 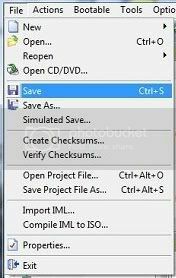 Return to the File menu & choose Save. The application will create a new .iso in approx. 2 minutes. The original .iso will have a .uibak extension added after the .iso extension which can be removed/renamed. A successful installation with all the various operating system editions visible. One can now burn the Windows 7 .iso to a DVD using any of several burning applications, ex: Nero, ImgBurn, etc.